Lilian is an experienced paralegal with over eight years of experience in the areas of personal injury and enjoys working hand in hand with clients. Lilian is focused in the firm's Trust and Estates practice areas . 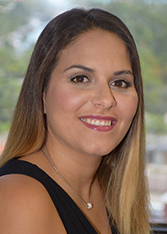 Lilian was born and raised Miami, Florida and graduated with a Paralegal Degree from Florida International University. Lilian resides in Miami, Florida and has two daughters. In her spare time she enjoys all kinds of outdoor activities and spending time with family and friends. Lilian is grateful for the opportunity to be working in the Trust and Estates department at Chepenik Trushin LLP and values the challenges and rewards related to this practice area.